Shop online for 1 4d-vision science kits / projects / experiment / educational kits at discounts up to 70%. 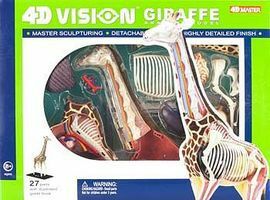 This is the Giraffe Anatomy Model from 4D Vision. Suitable for Ages 8 & Up.